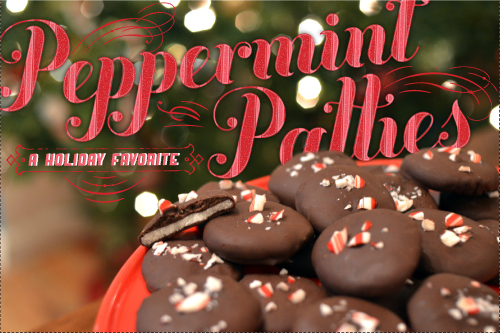 Nothing says the holidays like peppermint! 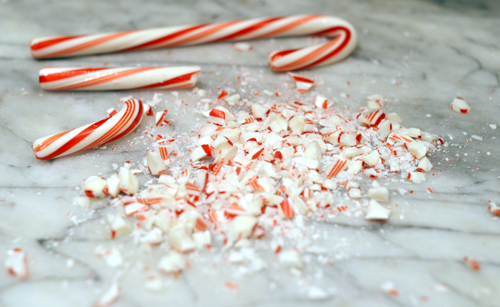 Having already consumed my fair share of candy canes, I needed creative ways to use the remaining few. 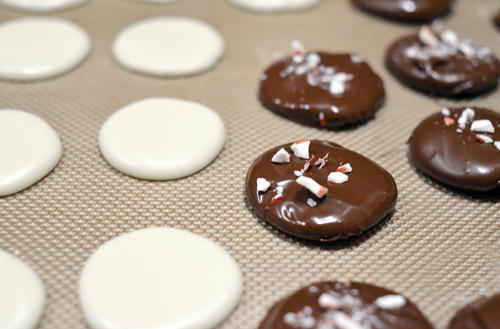 Some are hanging from my Christmas tree and the rest served as a perfect garnish on these homemade peppermint patties. Sure, you could go out and buy the pre-packed ones, but these are really easy to make and taste better! Plus, this recipe will make enough for you to box 'em up and give as gifts to your mailman, doorman, co-workers, milkman, local bartender, or that one nice toll booth worker on I-95. 1. Line 2 baking sheets with parchment or wax paper. 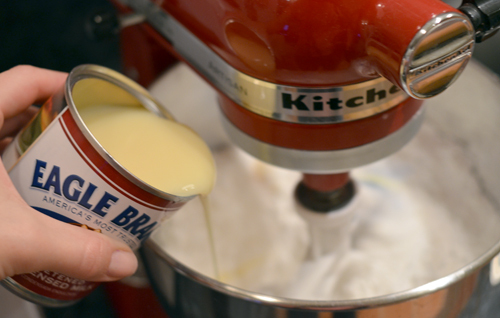 Place powdered sugar in the bowl of a stand mixer fitted with the paddle attachment. Mix on low speed and slowly pour in the condensed milk until incorporated. Add the peppermint extract and mix until the paste is stiff but still pliable. 2. 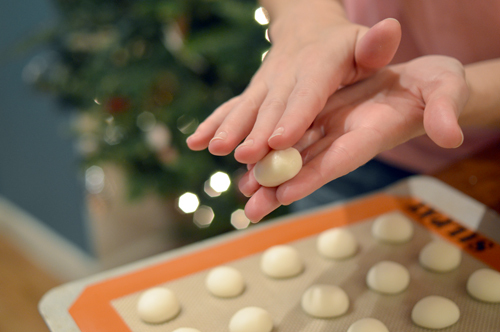 Scoop out a nickel sized amount of paste and use the palms of your hands to roll into 1/2 inch balls. Place each ball on the lined baking sheet and immediately press ball down into a flattened disk (about 1 1/2 inches wide). Transfer peppermint disks to the freezer for 30 minutes. 3. While the disks are chilling, melt the chocolate. Place 3/4 of the chocolate in a microwavable bowl and melt in 30 second increments, making sure to stir after each time. 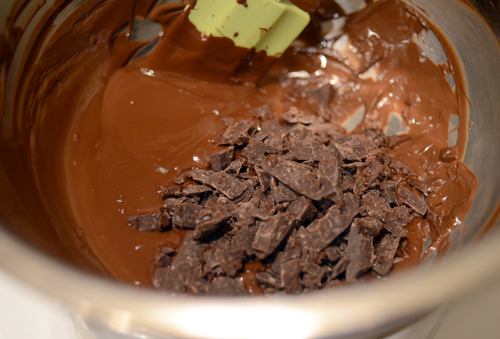 When the chocolate is melted, add in the remaining chocolate and stir until smooth. 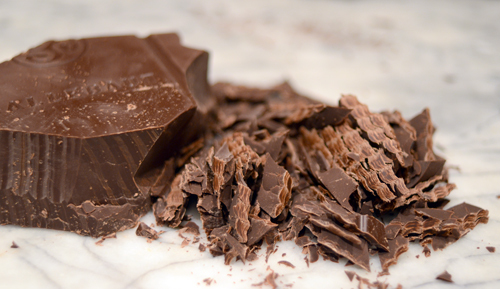 Add the shortening and mix until chocolate is thin and smooth. 4. Remove patties from the freezer. Place a disk on a fork and dip in the chocolate until completely covered. Allow excess chocolate to drip off the pattie before setting each one back on the baking sheet. Sprinkle the crushed candy canes on the patties while the chocolate is still wet. 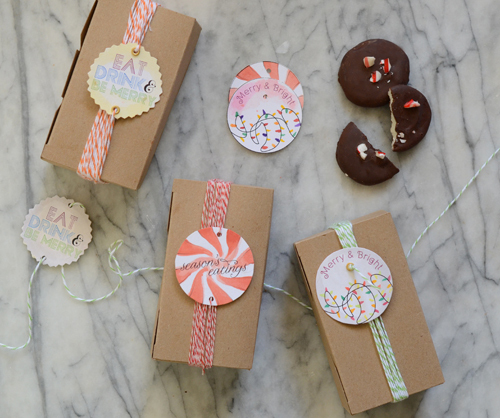 Leave the peppermint patties in a cool, dry place to completely set up. 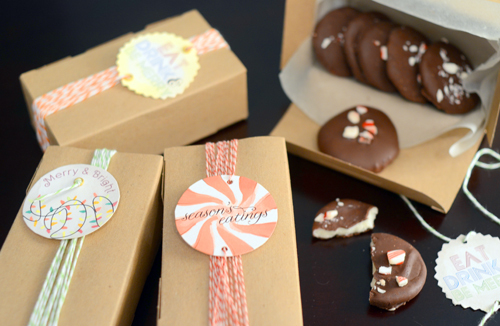 To package them, wrap in a parchment paper lined box and keep away from heat. Store any extras in an airtight container for about two weeks. note: Keep the patties chilled as you dip them in the chocolate. If they begin to soften, just pop them back in the freezer for a minute.